A NYT editorial makes some good points about China’s utterly unnecessary “anti-secession law” and why it reinforces the need to continue the arms embargo. It is hard to imagine what China’s leaders figured they had to gain by pushing through a law authorizing an attack on Taiwan if it moves toward formal independence. Beijing has been threatening such an attack for years, and the Communist Party’s all-powerful leaders hardly need to get their toothless legislature’s permission if they ever decide to plunge ahead with such lunacy. But it is easy enough to see what damage this action has already done to China’s international reputation and objectives. By reminding the world that Beijing seriously thinks about starting a shooting war across the Taiwan Strait that could conceivably draw in the United States, China has persuaded Europe to slow down its ill-advised drive to lift the arms embargo it imposed after the violent suppression of the Tiananmen Square democracy movement. President George W. Bush had been urging just such a reconsideration on European leaders without much result. It took China’s legislative authorization of war to prove that Bush was absolutely right. The embargo was initially ordered to demonstrate that what happened on Tiananmen Square was totally unacceptable. To this day, China has not shown the slightest regret for those bloody events, nor has it given any guarantees that they will not happen again. But the most compelling reason for keeping the embargo involves Taiwan. The island’s official status is best deferred to another day, when passions on both sides of the Strait are cooler than they are right now. Independence-minded political leaders in Taipei need to restrain their rhetoric and gestures, while mainland leaders needed to stop brandishing threats. Until that happens, selling China weapons that might be used to shoot down U.S. aircraft assigned to defend Taiwan is a terrible idea, and one that could lead Congress to restrict the sharing of American military technologies with European arms exporters. No matter where you stand on the issue of Taiwan, you have to wonder what the CCP’s strategy was in stoking the flames so aggressively, at the exact moment it wanted to see the arms embargo lifted. Michelle Maglalang, the perennial racist who never met an immigrant she didn’t hate, is so obsessed with the immigration issue she’s actually started her own blog dedicated solely to this one subject. Read about the brown people threatening our borders! Read about how those Mexicans are sucking our economy dry and ruining things for us deserving caucasians! (The supreme irony is, of course, that Michelle herself is Asian, yet she writes as though she were a lily-white freeper in Montana.) It’s one sick blog. His new article on the ramifications of the Terry Schiavo calamity and the Republicans’ self-immolation should be read by all. Insightful, succinct and devastating. Update: His piece over at his blog is just as good; he is under assault, and I’m glad he’s experiencing first-hand the fury the rightwinders hurl at anyone who dares criticize or even question their positions. You can go from being their best friend to most despised enemy in a heartbeat. Just ask Jeb Bush. Maybe this will open the professor’s eyes. Just for the record, I still can’t stand Instapuppy, but when he’s right he’s right. This is definitely a strange story. When Qiu Chengwei reported the theft of his “dragon sabre” he was laughed out of the police station. So the 41-year-old online games player decided to take matters into his own hands. Swapping virtual weapons for a real knife, he tracked down the man who had robbed him of his prized fantasy possession and stabbed him to death. Mr Qiu is now facing a possible death sentence in a Shanghai court case which has highlighted concern about the social, psychological and economic impact of one of China’s fastest-growing industries. And it gets stranger, especially the part about suicide, attempted and successful. (Would you set fire to yourself because someone stole your virtual identity?) I think some of these players need to re-evaluate their priorities. You literally have to see it to believe it. What people won’t do in the name of religion! I remember reading many years ago a description of religious-crazed Moselms castrating themselves in a fit of Allah-loving zeal to prove their devotion. (Don’t try this at home.) Well, what these Christians are doing today is right up there. This is really good. The joys of living for 15 years in a persistent vegetative state. Congratulations, Chinese college students: We’ll let you get married! I think it’s only when Americans read stories like this that they get a glimpse of just how different the Chinese psyche is from their own. China said it would lift from September a 50-year ban on college students marrying or bearing children but warned the relaxed regulations should not change academic priorities. Students of legal marriage age — 22 for males and 20 for females — will no longer need to seek approval from university officials to tie the knot, the Ministry of Education said on its website. For decades students contemplating marriage or who become pregnant have faced the dilemma of whether to give up studying or delay their wedding, or stay in school and have an abortion. The regulation came under particularly strong criticism from graduate students, many of whom, under the threat of expulsion, were forced to hold off on reciting marriage vows or starting families. 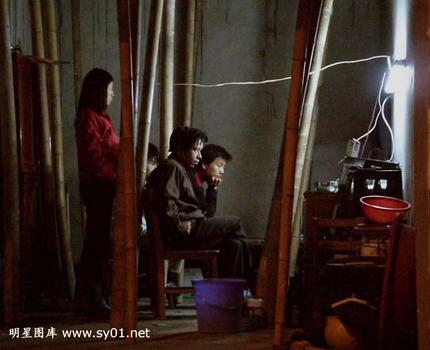 The new rule follows a law enacted in 2003 that abolished the need for engaged couples to request from employers or superiors a certificate of approval to wed.
Until recent years, Chinese remained beholden to the state for the most basic needs such as provisions for housing, a child’s education or the right to get hitched. Just a couple of weeks ago I read that the CCP has also made some changes in divorce procedures: You no longer have to get your employer’s permission before receiving an official divorce. Now, to the Western mind this is almost incomprehensible. Ask your boss for permission to get a divorce? Be thrown out of college for getting married? It’s hard for us to grasp that this could actually have been acceptable for generations and even into the 21st century, and that the Chinese simply accepted it. A whole different outlook as to how society operates and the role of the individual. Meanwhile, it’s good to see they are breaking free of at least some of those restrictions that serve no purpose except to limit personal freedom. God knows, it’s about time. 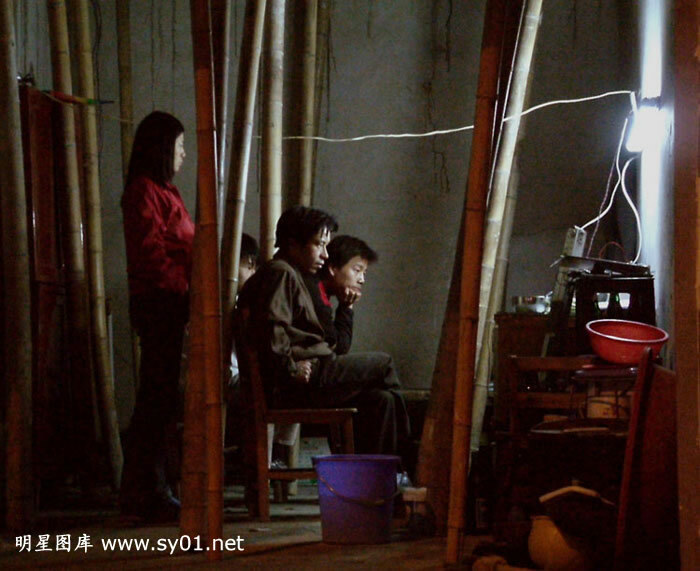 ESWN provides a link to some extraordinary photos of one of the most disenfranchised groups in China. The great thing about these photos is all the hope and optimism these people display, despite their hardships. This has been a hot discussion topic recently, so this article definitely caught my attention. The consequences of humans’ activities are severe and include: new diseases, sudden changes in water quality, creation of “dead zones” along the coasts, the collapse of fisheries, and shifts in regional climate, according to the Millennium Ecosystem Assessment Synthesis Report. “At the heart of this assessment is a stark warning,” said the 45-member board. “Human activity is putting such strain on the natural functions of Earth that the ability of the planet’s ecosystems to sustain future generations can no longer be taken for granted,” it said. “Any progress achieved in addressing the goals of poverty and hunger eradication, improved health, and environmental protection is unlikely to be sustained if most of the ecosystem services on which humanity relies continue to be degraded,” said the study. There is much more, so “read the whole thing.” I realize we’ve seen alarmist reports about a lot of subjects in the past, but these guys are well credentialed and respected (including, for example) the chief scientist for the World Bank) and it’s not inconsistent with other reports on the sustainability of the earth’s resources. Optimism is a great quality, and I can respect the viewpoint that everything will work out fine. I just think it’s going to take a lot of work and a lot of time, and since addressing the crisis costs a lot of money we’ll most likey wait until the very last minute. Update: The topic of nuclear power has come up in the comments, and here’s a good article that backs up the general consensus. So much for the “culture of life.” Be sure to read the second quote to the end. Literally beyond belief. Billmon is a genius.